"ChristianCinema has been a blessing to me and all my family." They've vowed to love each other forever---"in sickness and in health." But when John's wife, Ellen, receives a devastating medical diagnosis, can their family weather the storm? 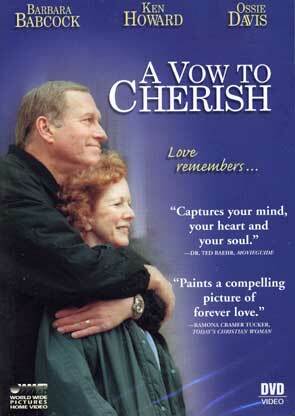 Called "a must-see for all couples," this triumphant love story is a life-changing testimony to the power of God. Stars Barbara Babcock and Ken Howard. Special appearance by Billy Graham. Lasting love has a forgiving heart. Great family movie on the importance of wedding vows to each for better or worse and hope of redemption in Christ by others setting that example of His light.